SABSA’s next meeting will be on Wednesday 12th June at Catapult Finance office 39 Charles Street, Norwood, 7:00pm. – All welcomed! Sturt Baseball Club Division 1 Champions for 2018-19 – Final Series games and stats online here! Click here to submit a comment or scoring enquiry. Catapult Finance office 39 Charles Street, Norwood. All Welcome! This is the best place to start if you are interested in scoring baseball! If you would like to offer your ideas and priorities for future facility provision, please Complete This Survey by May 17, 2019. Congratulations to Lorraine Dunn and Michael Phillips on being selected in the BSA 2018-19 Team of the Year, pictured here receiving their awards from Mark Brougham, Operations Director BSA. The Div 1 Grand Final Series stats online here: GRAND FINAL SERIES. One day after the Division 1 Minor Round finishes, SABSA scorers have entered all games online for your perusal! A great effort by Michael Phillips and the IT Scorers from SABSA! Three SABSA members have recently achieved CABS Level 3 Scorer national accreditation. Pass on your congratulations when you next see Kylie McBain, Laura Mosel and Karryn Przibilla. Also, well done to Michael Phillips and those who assisted them in the Level 3 Clinics. If you are an eligible accredited scorer and wish to nominate for the National Womens and Youth Womens Championships to be held in Narrabundah, ACT from 14-21 April, 2019, contact Brett Robson Head of Technical Officials by February 15. CABS would like to announce and welcome Connie Stoyakovich, who has been chosen as our new Coordinator. Connie comes to us with many years of experience scoring Nationally and Internationally, including as the head scorer and statistician for the Australian Academy Program (MLBAAP) from 2007 to 2014. Connie also held a position of Assistant to the CABS Coordinator for a few years, working with the inaugural coordinator, Paula Kenning. The Office for Recreation, Sport and Racing is running funding information sessions across South Australia throughout 2019. Those interested in applying for fundingwelcome to attend the information sessions. Info Here. 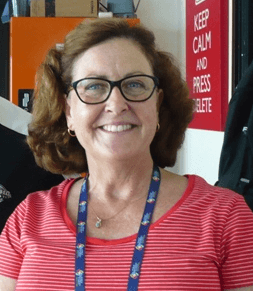 Lorraine Dunn recently announced her retirement from her volunteer role as national Co-ordinator for the Council of Australian Baseball Scorers (CABS). It is timely to recognise her service to the baseball community. Lorraine previously served as one of the three CABS Technical Commissioners and worked tirelessly to support the CABS aim of cultivating and advancing Australian baseball scoring. She was recognised with Life Membership for her service. Lorraine has officiated at ABL and Claxton Shield games, National Youth Championships as Tournament Scoring Co-coordinator and scored in countless local and state baseball games. 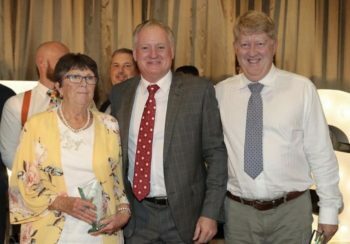 In 2011 Baseball Australia (BA) recognised Lorraine’s contribution over 40 years to Australian baseball when she was named BA Official of the Year at the Diamond Awards Ceremony in Queensland. Along with husband Danny, Lorraine has been actively involved in the Goodwood Baseball Club and in 2009 was also awarded life membership. Son Matt is a 600+ games Division 1 veteran and their grandchildren now actively participate in the club baseball program. Lorraine is well known to all Baseball South Australia (BSA) clubs through her previous role as the S.A. Baseball League Operations Co-coordinator. Lorraine served as front of house for the BSA and among other critical tasks managed the arduous responsibility involved in season fixturing for all grades. Lorraine was an early supporter, advocate and facilitator in implementing electronic scoring and statistics compilation for South Australia. SABSA members know Lorraine as a stalwart champion for due recognition of the important role scorers provide as officials of our beloved game. In serving SABSA in virtually every capacity, Lorraine has assisted many scorers to flourish and become more proficient at what we do. Again, SABSA recognised her service with Life Membership. We all appreciate Lorraine’s hard work over many years. We are grateful to her for sharing her experience and providing us with assistance and guidance. We continue to value her support and friendship and wish her and her family the very best. 2018 Super League Finals Results! The Super League Grand Final 19th Dec. saw the CRUSHERS (1) vs CARP (0). 1. Want to know more about scoring? Experienced scorers at most clubs … e or Click here to request more information.